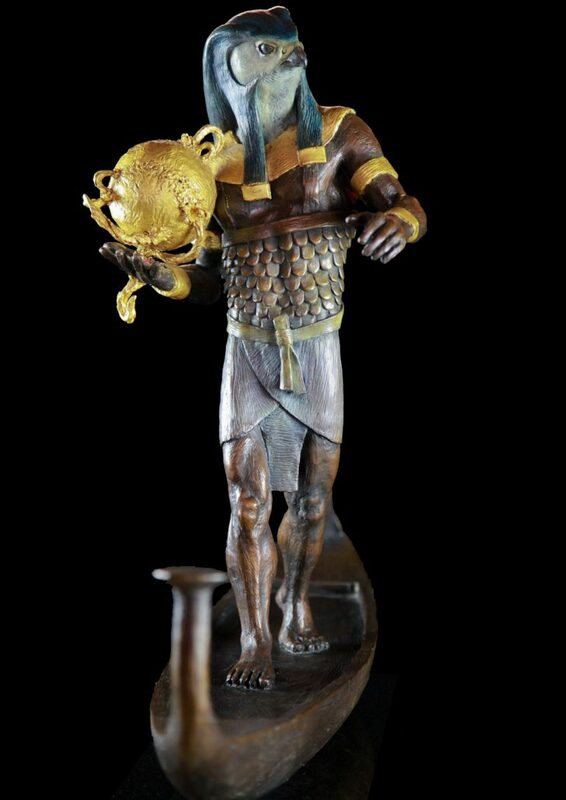 The Sun God of ancient Egypt, representing light, warmth, and growth. 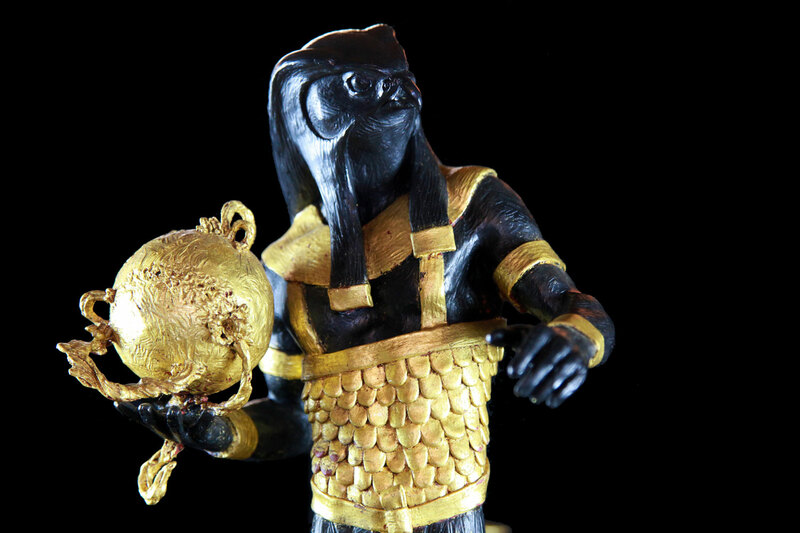 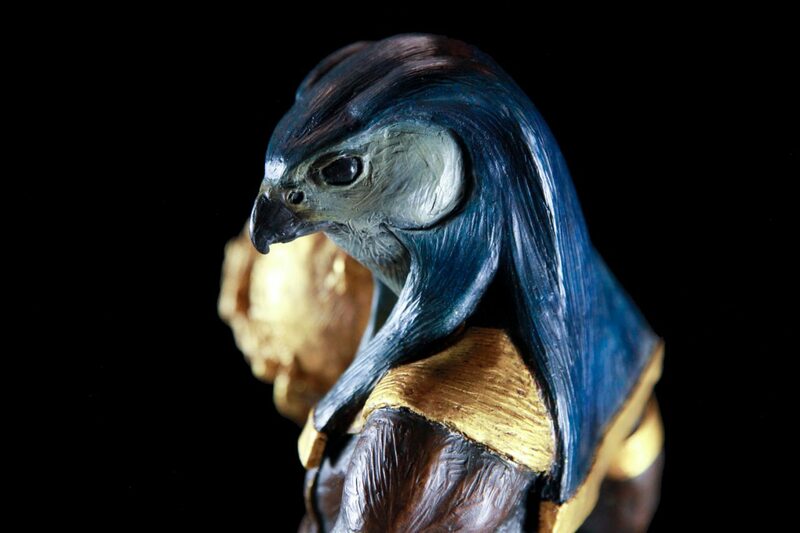 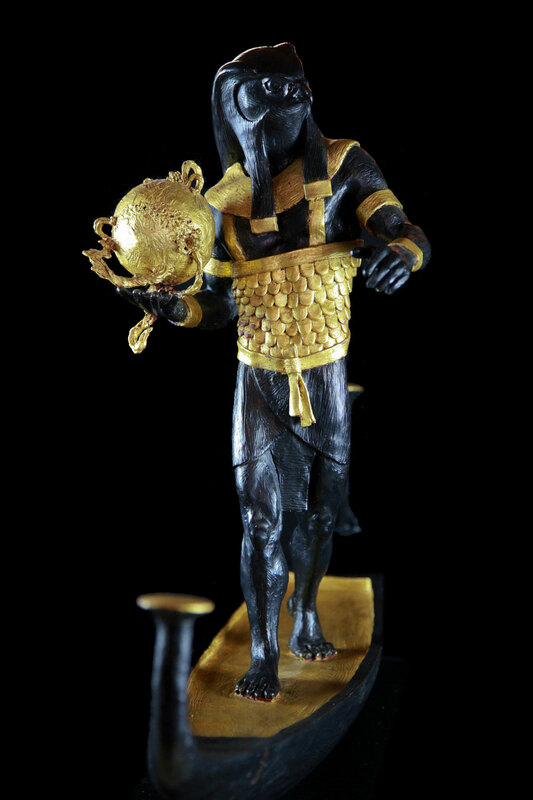 King and Father of the Gods, Ra was the ruler of all parts of the created world: the sky, the earth, and the underworld, and the Patron of the Pharaoh. 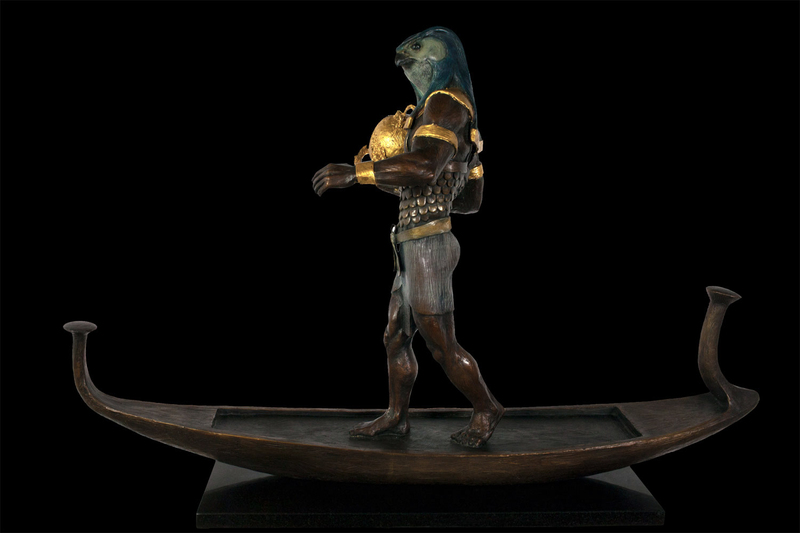 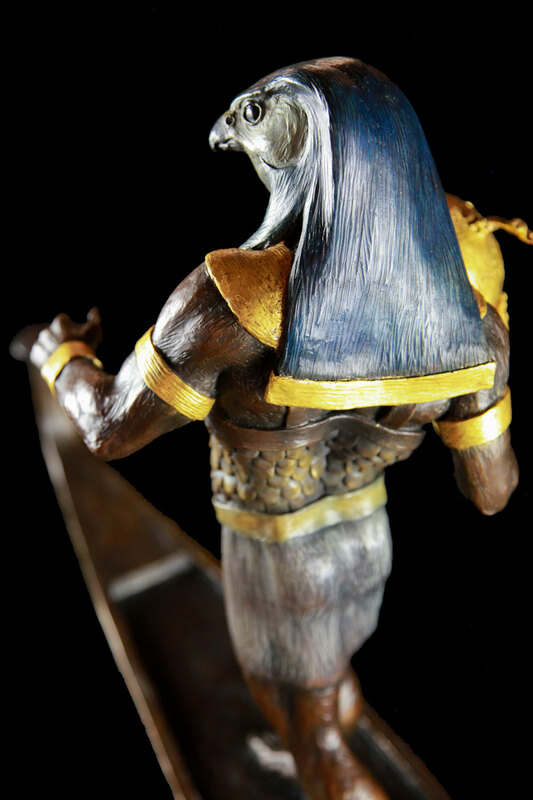 Ra, as the sun disc, was thought to be borne across the sky on a solar boat traveling through the waters of heaven on his daily journey across the earthly sky and likewise through the skies of the Duat (the literal underworld of ancient Egyptian beliefs) during the night. 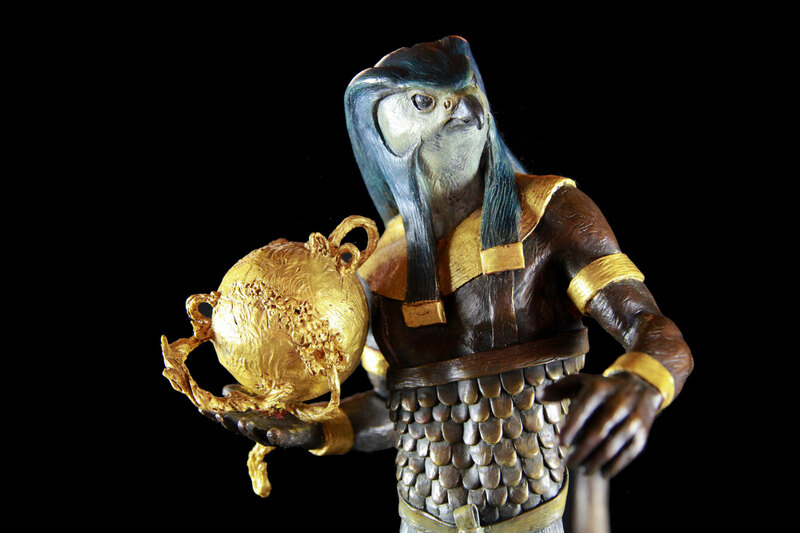 It was believed that Ra “died” or was swallowed by the sky goddess Nut [ ] every evening as the sun dipped below the horizon. 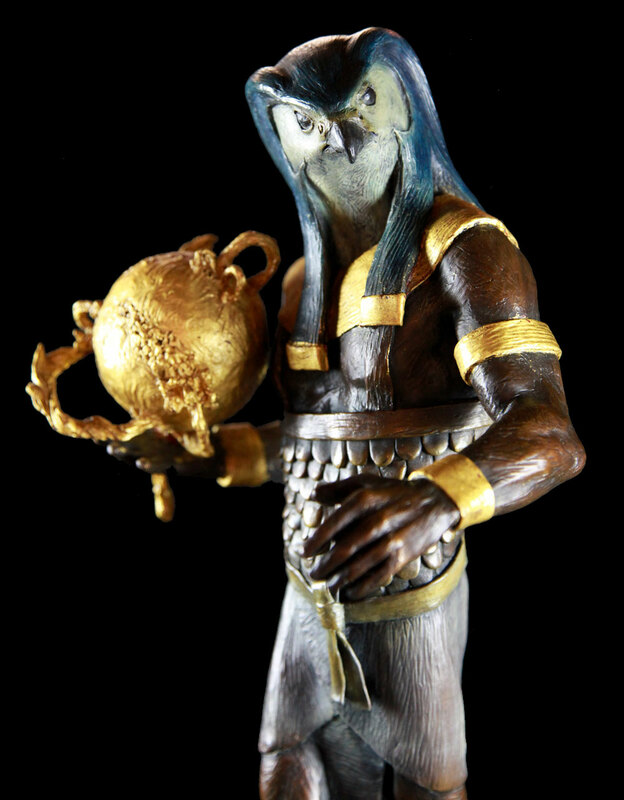 He then travelled through the world of the dead by night and was reborn in the morning (making Nut both his granddaughter and his mother); thus attributing the concept of rebirth and renewal to Ra and strengthening his role as a creator god as well. 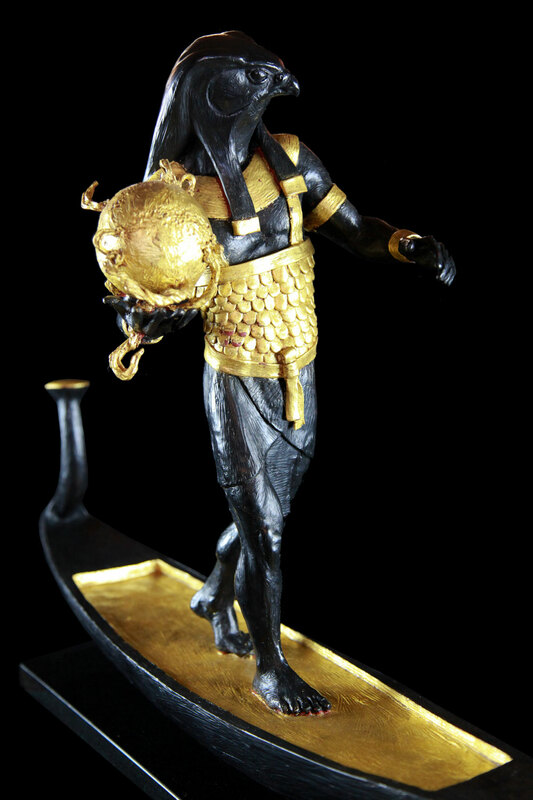 Here Ra is portrayed standing in his solar boat Mandjet (the Boat of Millions of Years), bearing the sun globe [ ] in his hand across the sky.